You are currently browsing the tag archive for the ‘Ligers’ tag. 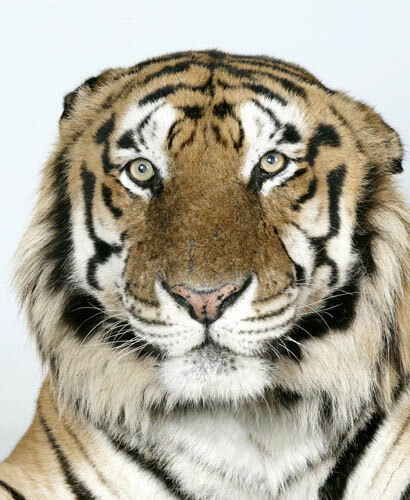 I was reading The Guardian this morning and came across some portraits of Bengal Tigers which made them look as if they had almost human expressions on their faces. I immediately thought of Werner Herzog’s doco Grizzly Man about a man who becomes obsessed with Grizzly Bears in Alaska and sees them as some sort of misunderstood gentle giants and not the wild beasts that they really are. These portraits, as beautiful as they are, left a bad taste in my mouth (they reminded me of people who dress up small dogs to look like pirates or their favourite superhero). With this in mind I decided to investigate further and found that the photos were taken in Florida at T.I.G.E.R.S. (The Institute of Greatly Endangered and Rare Species) I wonder how long it took someone to come up with that acronym! It seems at T.I.G.E.R.S. they have a number of these rare and majestic beasts which they use as “ambassadors” in a sort of travelling circus / stage show to educate people and raise money for conservation projects. From the pictures on the site the show appears to feature actors dressed up like extras from Xena: Warrior Princess! 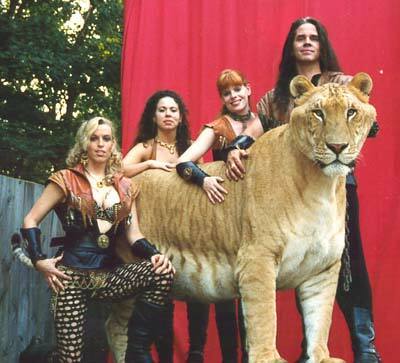 I dug deeper and things got even stranger when I came across… The Liger. That’s right! It’s not just Napoleon Dynamite’s favourite animal – they actually exist! (see photo below) As quoted on the site “The liger is the world’s largest big cat. An average male liger weighs over 900 pounds and standing almost 12 feet tall. The reason that they are called a liger is because the father was a lion and the mother was a tiger. If the situation was reversed and the mother was a lion and the father was a tiger, he would be called a tigon, and would be a dwarf instead of a giant. A fully grown tigon is usually less that 350lbs. Ligers are not sterile, and they can reproduce. If a liger were to reproduce with a tiger, it would be called a titi, and if it were to reproduce with a lion, it would be call a lili. Ligers are not something we planned on having. We have lions and tigers living together in large enclosures. 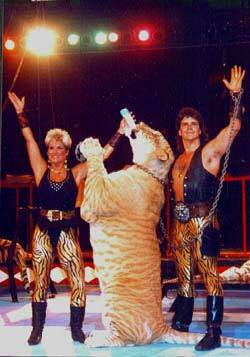 We had no idea how well one of the lion boys was getting along with a tiger girl. Low and behold, she had giant brown babies, and we knew we had ourselves some ligers.” Somewhere in Florida, truth really is stranger than fiction!